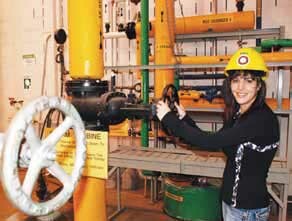 Oil production and exploration has long played a part in Lloydminster’s history and growth, creating a symbiotic relationship between industry and community. That relationship is more vital than ever, and industrial companies are making an impact not just economically, but on a profound level for all area residents. With a population of almost 28,000, the Border City’s location on the Yellowhead Highway creates transportation, warehousing and distribution opportunities for the Lloydminster region. Because it encompasses municipalities in two provinces, it receives many of the benefits, programs and services of both provinces. The oil industry’s success impacts and complements the service, retail, construction, transportation and manufacturing sectors in the region, creating a wealth of opportunity. Several economic development organizations and business development services are dedicated to Lloydminster’s ongoing economic development, and the province of Saskatchewan is committed to creating a positive environment that allows businesses of all sizes to grow and prosper. Low corporate income-tax rates, tax credits, sales tax exemptions, training grants, and low utility rates give Lloydminster a true economic advantage. According to Ward Read, CEO of Lloydminster Economic Development Corporation, Lloydminster’s regional stability in the face of a change to Alberta’s energy royalties’ structure in 2007 is a good example of that advantage. With increased royalty rates to the Alberta government, companies felt the impact and some business shifted to the Saskatchewan side of the region. In other parts of Alberta, that change would have been more significant, but in the Lloydminster area the overall impact of the royalty restructuring wasn’t felt as strongly. 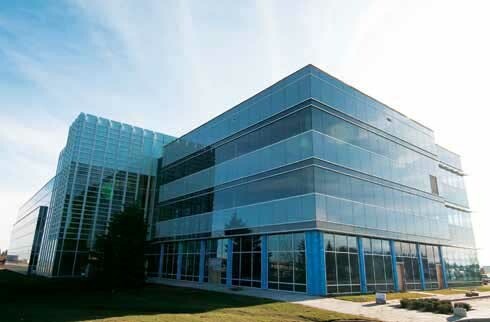 Many local, regional and multi-national companies – including Canadian Natural Resources Limited, Devon Energy and Weatherford Canada – operate in the Lloydminster area, accounting for over 4,000 employees and billions of dollars in exploration and extraction investment. And since Husky Oil began production in the region in 1946 and their refinery came online in 1947, the company has been a major presence in the area. The Husky Energy Upgrader has been operating since 1992 and is the main oil facility in the area. 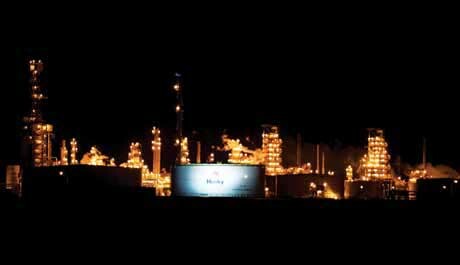 According to Husky Energy, its $1.6-billion facility produces 82,000 barrels per day. 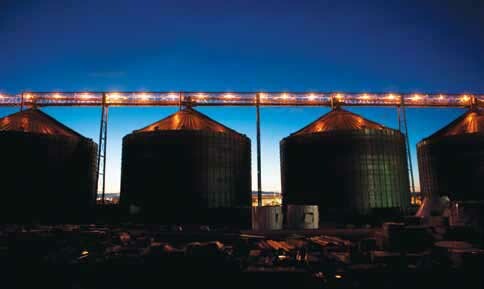 The company also operates the Meridian Cogeneration Facility, an ethanol plant and an asphalt refinery. But more than just oil exploration happens in Lloydminster. The development of new technologies has been an important part of the region’s involvement in the industry, with cavity pumps and horizontal well drilling being developed and perfected in the region. With delays in the Keystone and Gateway pipelines, logistics options such as the new transload facility being built by Canadian Pacific Rail and NuStar Energy gain importance. This project uses rail to ship heavy oil to the U.S., where refining capacity exists. Not only has Lloydminster experienced the oil industry’s economic benefits, it has also received a lot from companies. Husky, a major sponsor of the 2008 Saskatchewan Summer Games, also supported the Husky Energy Speed Skating Oval and donated more than $12,000 to help the Prairie North Health Region outfit the Dr. Cooke Extended Care Centre with a track-lifting system that aids residents with limited mobility. One beneficiary of the industry’s generosity is Lakeland College. Its Heavy Oil Operations Technician program (HOOT) has received financial support from oil companies to expand training facilities and equipment, and companies have been eager to take in practicum placements and sit on advisory boards. The college has also worked closely with companies to find out what they need in order to find labour market solutions. “We’re very fortunate to have these partnerships,” says Kara Johnston, director of Energy, Entrepreneurship & Saskatchewan Programming. Husky’s new building in Lloydminster. The college is also helping to upgrade employee training. In July 2011, Lakeland began discussing power engineering training for upgrader employees with Husky and after just six months, the first part of the second-class program launched for online delivery. “This speaks volumes to the team and the partnership,” says Johnston. Once a program like this is developed, getting funding is easy, she says, but they’re fortunate to have the partners actually help develop relevant and important programming. The program also allows companies to team build. “It’s win-win,” Johnston says. Other companies are getting involved in the training as well. Biodiesel producer ADM approached Lakeland about second-class employee training, and CNRL chairman Allan Markin personally donated $200,000, which is going toward fast-tracking fourth-class online curriculum development and also expanding energy programming to include a two-year technology diploma program. Cenovus Energy is also offering ideas to develop that program’s heavy oil curriculum. Another boon to the college and industry will be a new $15-million training facility with a second boiler. The facility will cut the amount of fourth-class practicum training time in half and allow for third-class training. The number of students will increase from 44 taking fourth class – almost half from Saskatchewan – to 120 students taking fourth and third class, with a total of 200 students, including online participants. The target date for opening is Nov 17, 2013 – Lakeland’s 100th anniversary. “We’re very excited about it,” says Phil Allen, vice-president of advancement. Allen says institutions have to do more to help address labour concerns in the industry, and increasing the number of workers and helping upgrade current employees is a good start. The college is also partnering with the Saskatchewan government to educate local First Nations members in the community, working with the Onion Lake Cree Nation on an Introduction to Heavy Oil & Gas program. By providing basic oil and gas training, as well as lifestyle training, they’re giving community members skills to work in the oilfield and prepare them for the HOOT program, if they choose. Local industry partners are watching this program closely and have been very supportive of the initiative. Another organization working closely with the oil industry, the Thorpe Recovery Centre, changes lives in a different way. Along with Husky, Devon, CNRL and a number of other companies have contributed to the treatment centre that helps people beat painful addictions and discover happier, more fulfilling lives. Started in 1975 with two beds, Thorpe recently opened a world-class 72-bed facility just outside Lloydminster. The new centre was designed and built to deal effectively with addictions, offering clients a wealth of activities in an environment focused on respect and dignity. Thorpe also works closely with oil companies in doing assessments and testing and helping write drug and alcohol policy, especially for small- to medium-sized companies that may need help with implementation. Lakeland energy and olfield technician. According to Thorpe Recovery Centre Board chairman Stan Parke, the centre received support from the industry from the beginning of the new building project. And local companies, including FieldTek and Grit Industries, did their part too. Grit Industries president Wayne King even issued a challenge to other businesses to support the centre. “We approached companies at a hard time for the oilpatch, in 2008-09, but they came through – and not just financially,” Parke says. “They believed in what Thorpe does. It’s very encouraging.” One company acknowledged that addiction is an issue that affects everyone and that they had to look at their responsibility. “With liability becoming more of an issue, companies want to make sure they’re doing what they can for their employees,” Parke says. 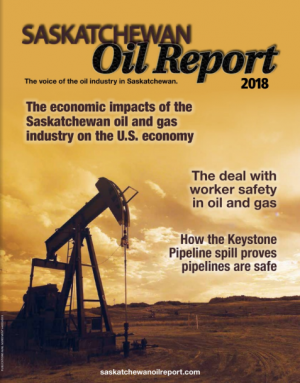 Please note that this story was published in the 2012 edition of the Saskatchewan Oil Report magazine, which was released in April 2012.